Revel in me...: The joys of short legs. 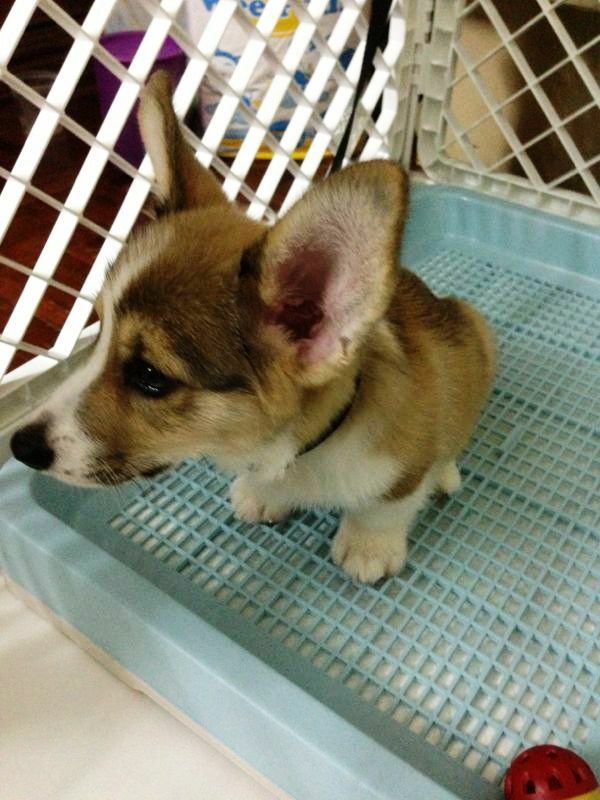 Hi, I am a baby corgi, and this is me in my short-legged glory. I give puppy-dog eyes for food. Daddy and daddy's sister (they told me to call her Gu-Gu, but does it sound obscene? I am under-aged after all.)) taught me the "Sit" command on the first day! Of course I could do it. Anything for food. But I thought as long as I sit, I get food? But how come then after I finished my food and continued to sit, they didn't give me any more food. Humans, Y U NO consistent?? I also like to sleep like a human. And thank you mommy, for covering my private part! I shy shy. PS: Mommy also told me to tell you all to don't worry, she won't be one of those girls who only post photos of their pets on their blogs! Though why shouldn't she, I wonder. I am too cute! 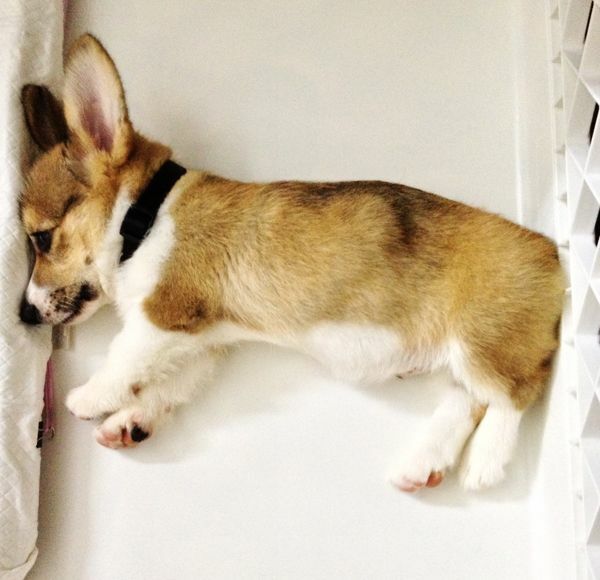 chiqess: Hahahhahaha yes they are super cute dogs omg!! And I saw that article before-- melted so many times, haha.